This is last post on the details of this sequined yoke. The thread embroidery is completed.now for the stones , beads and sequins. 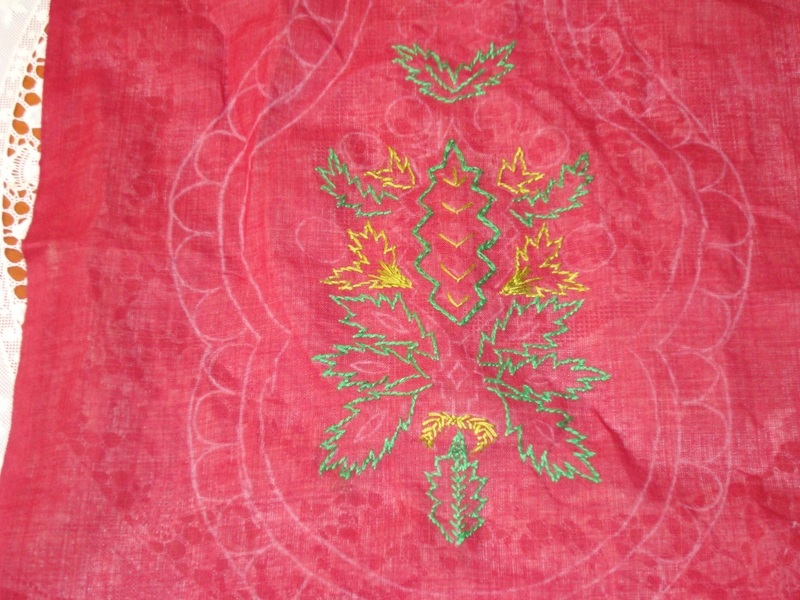 Leaves- Small antique beads were worked around the fly stitch on the leaves. 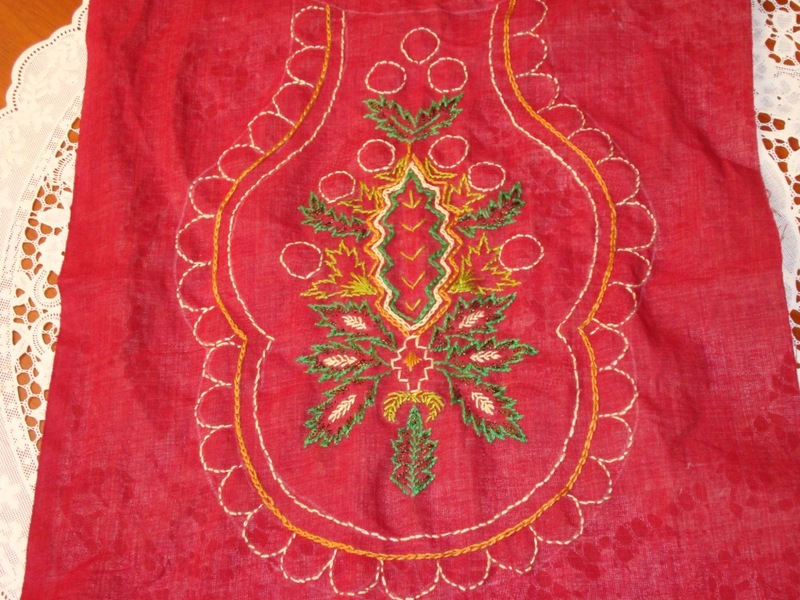 Stones-the stones were placed inside the central motif between the fly stitches. 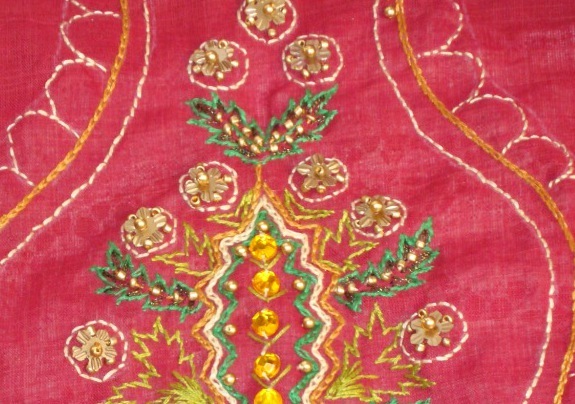 Sequined circles- flower shaped sequins were stitched to the centre with a bead,and five antique gold beads were stitched around the sequin, this bead pattern is worked all over the circles and border. 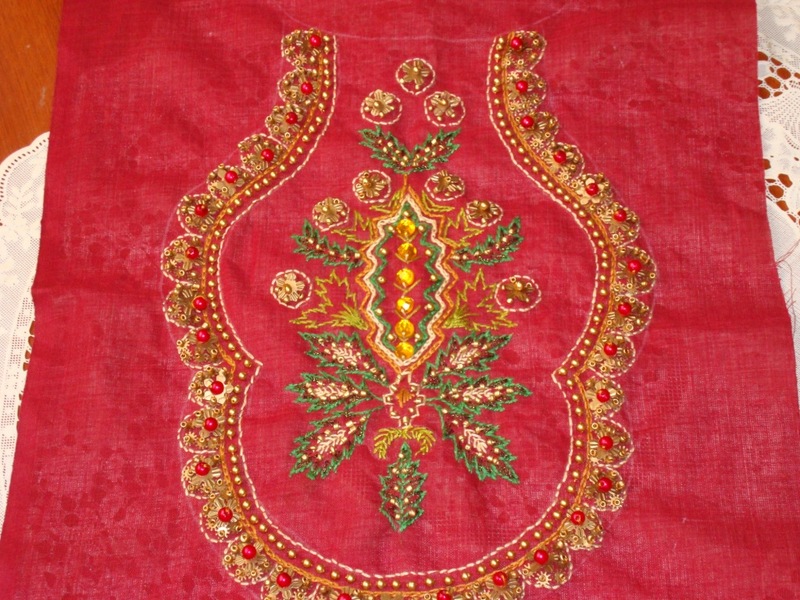 After working with the central motif, the border- a line of antique golden beads, between the chain stitches, the scallops were worked with the same bead pattern[circle] fixed with red beads. 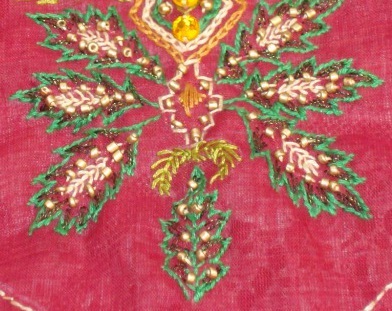 The completed yoke was placed over the tunic fabric. I enjoyed working on this yoke, especially the sequins and beads part. I also feel that if the tunic fabric was plain one, it would have looked better. 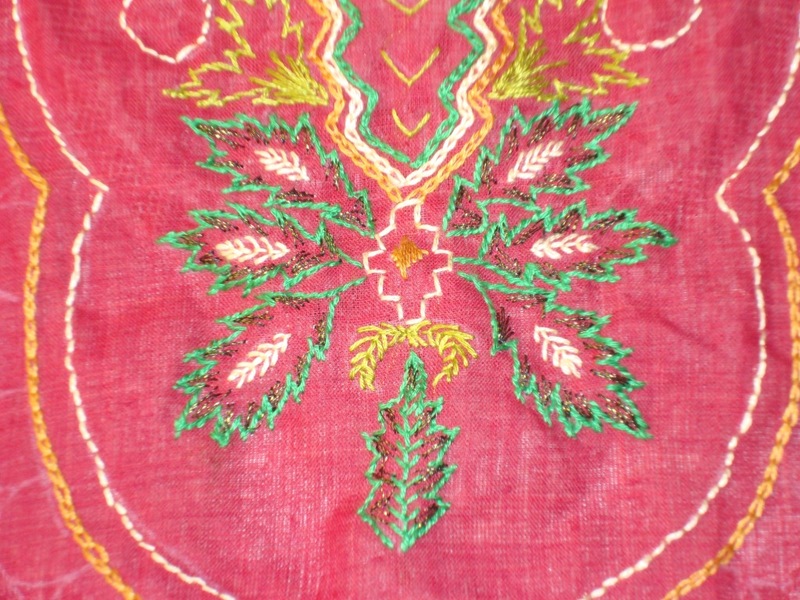 The embroidery details of this maroon yoke are continued here. 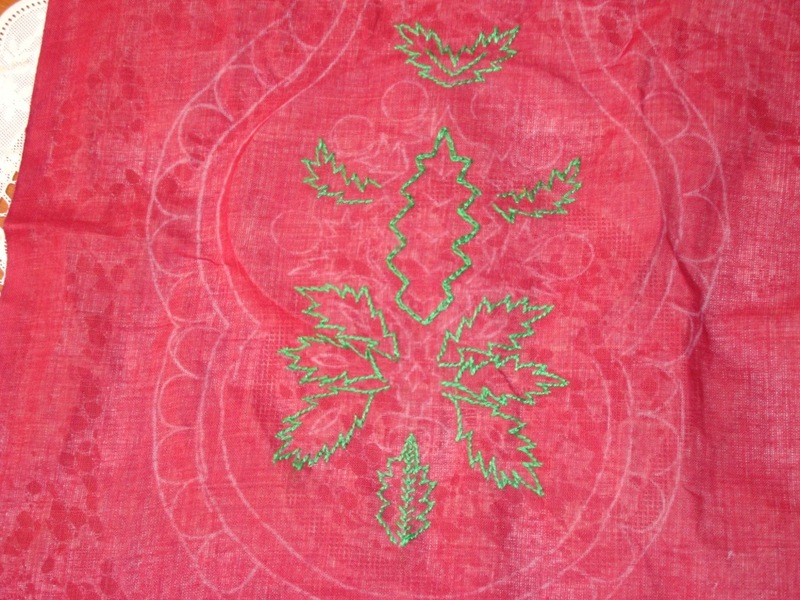 The next colour was green mettalic thread, this was used for enhancing the leaf patterns, the stem stitches are worked inside the leaf borders . it is not clearly visible. I forgot to take a picture after working with this thread, so this picture is while working with the beige thread. 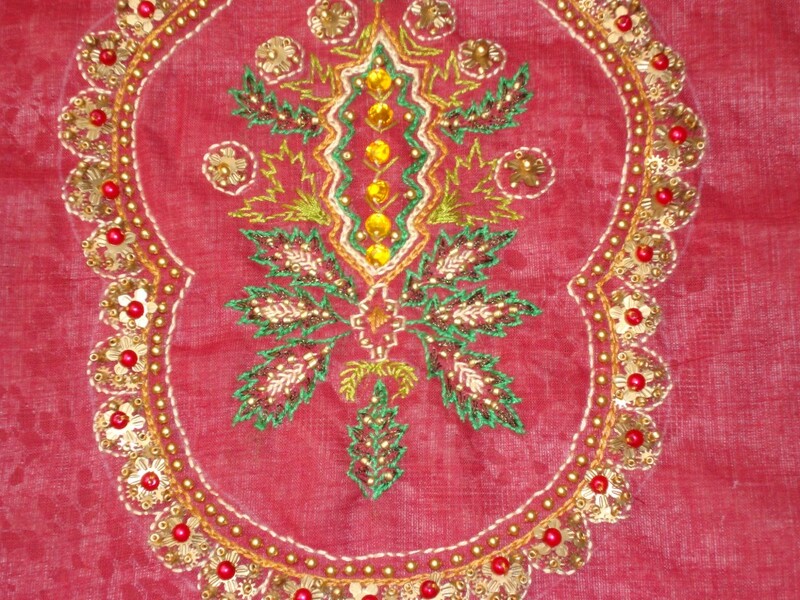 Back stitch for the border, scallops,circles[ into which, sequins were added], diamond shape. The fly stitch for the inner part of the leaf. And a line of chain stitch for the centre pattern. 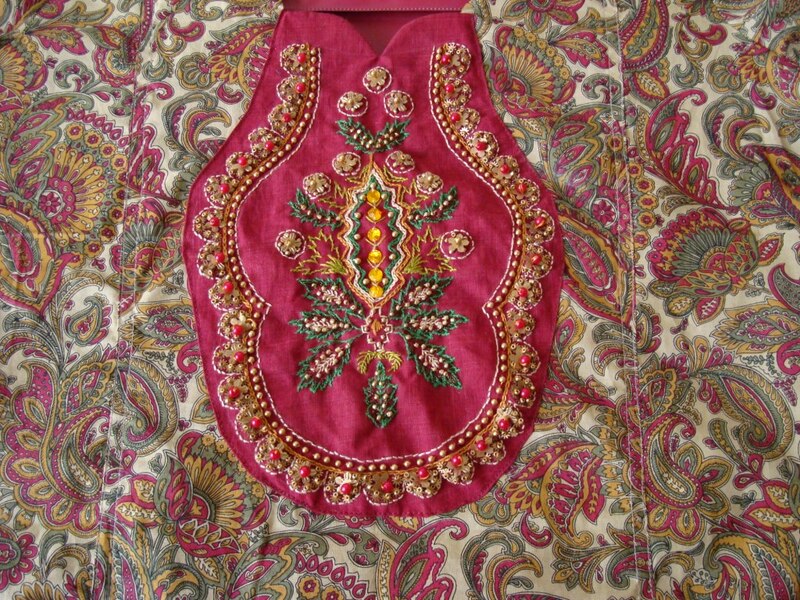 I am posting the details of a sequined yoke for a paisley printed tunic. 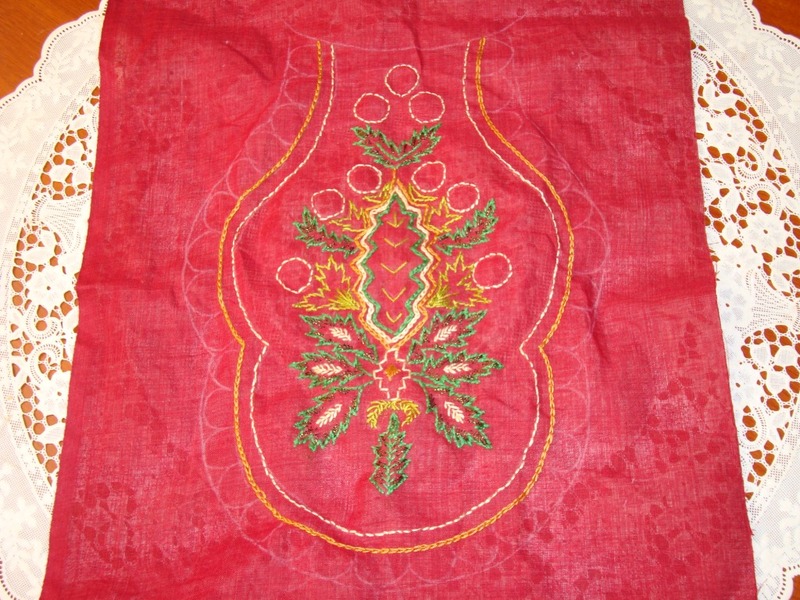 The pattern is worked with a combination of embroidery stitches. After working with dark green thread, I added another shade of green . 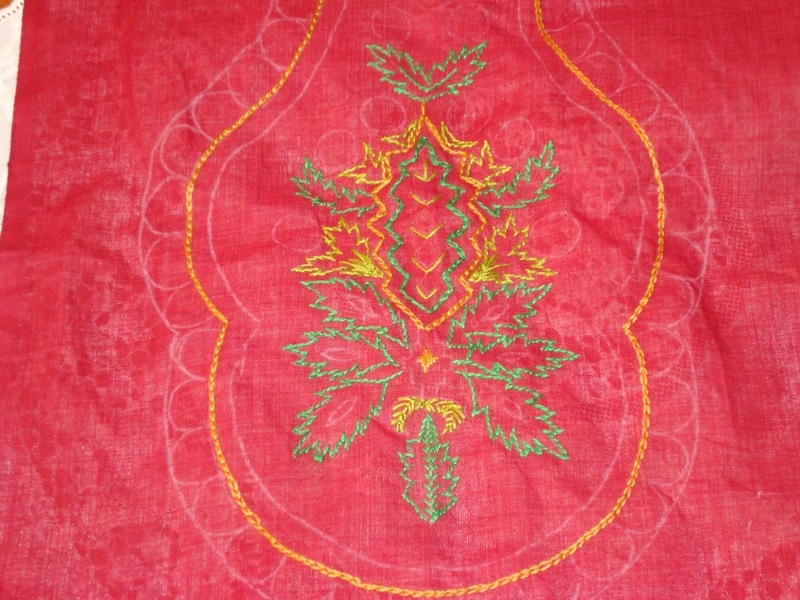 stem stitch, satin stitch and feather stitches are worked with this thread. Then I moved on to another colour, golden yellow, with this thread, two outlines are worked in chain stitch. And a small satin stitch is worked on the central diamond shape. Continuing with the details on my next post. 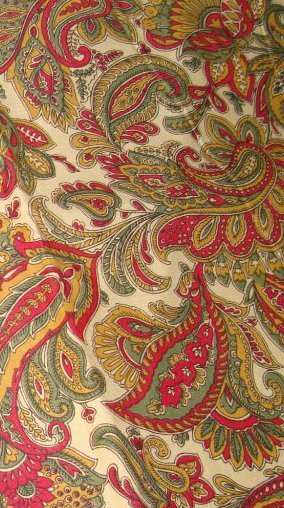 I had some sequins and beads in antique gold, which I wanted to use for a yoke pattern. 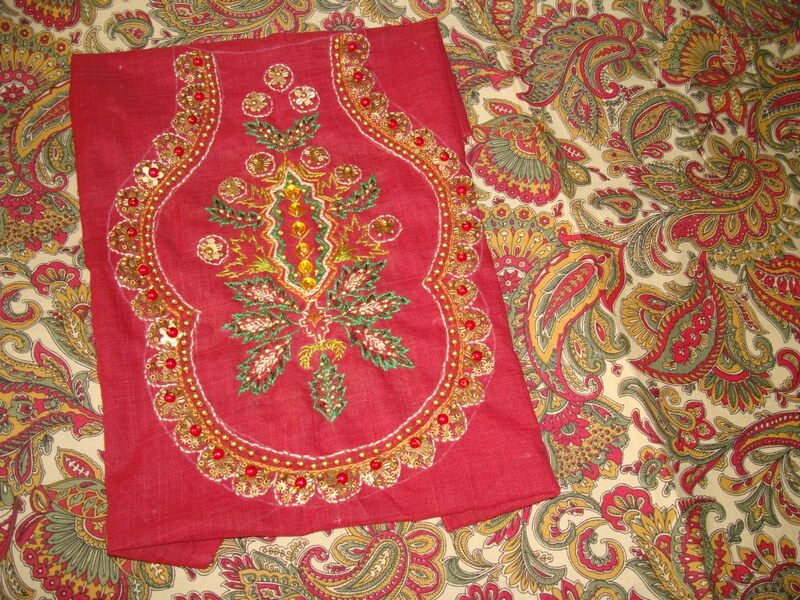 After picking up this tunic fabric , thought a maroon colour fabric will work as yoke for this. The inspiration for this was from seeing some old ornament patterns. Started with green colour cotton skein, stem stitch and fly stitch are seen here.